There is no doubt that many people love cake. 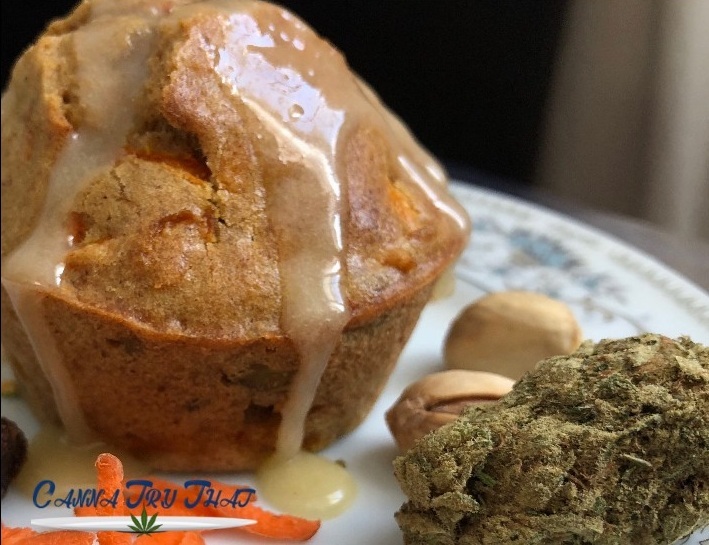 If you want to make it even better, trying to infuse your carrot cake with cannabis. If it is a party, then be sure that people will remember it. The carrot cake infused with cannabis is often easy to make if you know the right procedure. Once the cake is made, you will get to enjoy each slice as it packs quite the punch with the marijuana content. The THC levels in the cake will give you a therapeutic and recreational feel all the time. For those interested in baking the cannabis carrot cake, make sure to check out the instructions below. Start by preheating the oven a temperature of 180 degrees C.
Use one bowl to combine the shredded carrots, salt, walnuts, and cinnamon. Proceed to set the bowl aside for now. In the second bowl, you will have to mix the other remaining ingredients such as baking powder, flour, sugar, and baking soda. With the mixture done, make a well in it as it will be useful in the next step. Proceed to add the four eggs into the well created in the mixture. At this stage, you need to also add the melted cannabutter or cannaoil. With your electric mixer, use it to mix the mixture until it is well combined. Keep going until the mixture is smooth. At this point, you will see the texture change when the sugar dissolves. Proceed to add the carroty mix to the mixture and use a big spoon to combine the two easily. You have to make sure that there are no carrot lumps that would make the cooking weird. You can now wash the bowls and beater blades to leave the kitchen clean. Proceed to cut the cream cheese into small pieces before adding them to a bowl having melted butter and icing sugar. As you can see from the procedure above, you can easily have your cake in no time. On average all the processes will take about an hour and you should be ready to have your cake.